As this classical music service continues to grow our internal needs do too so we are asking listeners, who are looking to fund a specific need, to consider supporting the following “Wish List” items. Contact Katherine Lefever, Director of Donor Engagement, to discuss a Wish List and In-Kind donations at Contact Katherine, or 503-802-9412. Mentorship Program: Five young people (ages 15 – 21) will be selected as roving reporters for All Classical Portland in order to learn key storytelling skills and emerge as arts ambassadors for their communities. The All Classical Portland On-Air team will mentor these young reporters, providing them with guidance and insight on what it is to be a broadcaster and arts leader in their community. Each youth reporter will identify two arts events happening in their community that they would like to cover. The reporters (and their families) will then be given event tickets, connected to the artists involved to interview, and provided the tools and training to produce their reporting content. 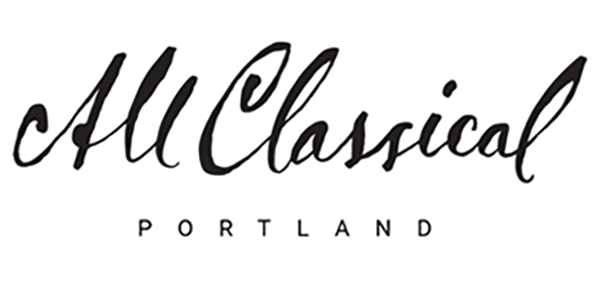 The content created will be shared on All Classical Portland’s website, social media and on-air. The goal is to award this scholarship to youth from regions across the entire state providing equal opportunity to youth in rural areas of Oregon and SW Washington as well as the Portland metro area. Funds are needed to create and catalogue a library of pieces that are aimed to comfort, restore, and bring solace to our listeners when a tragic event takes place in our local, national or global community. In light of the many, unfortunate tragedies occurring on a regular basis, this music acts as a salve for the soul. Funding for this important, timely initiative will provide the necessary resources for All Classical Portland’s Music Director, John Pitman, can implement this plan. “Production C” is a studio used by All Classical Portland’s on air hosts to record several locally produced programs that highlight the artistic talent of Oregon and SW Washington and beyond. The Score™ with Edmund Stone is nationally syndicated from Production C! The naming rights include credit at the end of each episode of The Score™, currently heard in 50+ states around the country. As part of the broadcast spectrum incentive auction, the Federal Communications Commission (FCC) is authorized to repack the television band by assigning television stations to new channels. This process will pose significant challenges for the broadcast industry. Nearly 1,000 stations including All Classical Portland must migrate to a new channel/tower. On April 13, 2017 the FCC released a public notice announcing the results of the auction and outlining which stations will be moving along with their new channel assignments. This federally-mandated move will cost the station $200k, an extraordinary expense, vital to continuing station operation. In an effort to provide access for music-lovers who don’t attend live arts events for a multitude of reasons, whether it is a loss of spouse, inability to drive, or lack of a sense of belonging, All Classical Portland will facilitate an evening of art and/or music, with arrangements for travel and tickets. Through this inaugural series, All Classical Portland will act as a bridge between outstanding arts organizations and people who yearn to experience the rapture and sense of community associated with the performing arts, in person. All Classical Portland will shine a spotlight on a variety of organizations in our community that are providing programs in art, theater or music that explore the intersection of art and social issues. Through this newly branded series of on-air spotlights, we seek to promote equity, foster inclusion and encourage emotional literacy. Ensure the programming you love is available for future generations by making a gift to our Endowment fund! By growing our endowment, All Classical Portland will have a stable source of income making the station less reliant on on-air fundraising. Contact katherine@allclassical.org with questions about how to make a legacy gift.